Watch you gonna do about it? Smartwatches are yet to sell in the big numbers smartphones enjoy, so we'd have expected steady, if unspectacular, growth. But, according to IDC, the smartwatch market saw its first decline in the second quarter of 2016, with just 3.5 million units shipped, down from 5.1 million units during the same quarter last year. Apple, as you might expect, is top of the heap, with IDC stating it accounted for 1.6 million of those shipped units this quarter, but it's also solely responsible for the drop in overall units, as it's the only vendor in the top five to experience a decline in shipments. In fact, outside of Apple business is good, with Samsung, Lenovo and LG (the number two, three and four smartwatch vendors) all enjoying more sales now than in the same period in 2015. 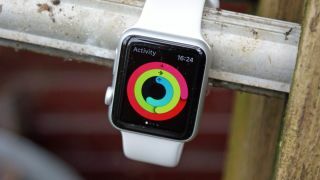 It shows what a dominant position Apple has in the smartwatch market and it's no surprise, given that it's still relying on the original Apple Watch, the shipments have dropped with the Apple Watch 2 not expected to arrive before September. So while the market could be seen as being in decline, in some ways it actually looks quite healthy. Apple's sales are sure to boom towards the tail end of the year once the Apple Watch 2 launches and rival companies are already seeing growth, though whether that will continue in the face of Apple's imposing offering remains to be seen. IDC too is positive about the future of the smartwatch, noting that traditional watchmaker brands like Casio, Fossil and Tag Heuer are slowly but surely entering the market, bringing stylish designs and brand recognition with them. The market is also set to change as smartwatches find their place in the world, with the report stating that faster and improved technology, with better applications emerging, will see the smartwatch rebound. So really we just need Apple to hurry up with its next watch, and the likes of Samsung and Motorola to find their way out of its shadow. Hopefully Android Wear 2.0 will help with that.